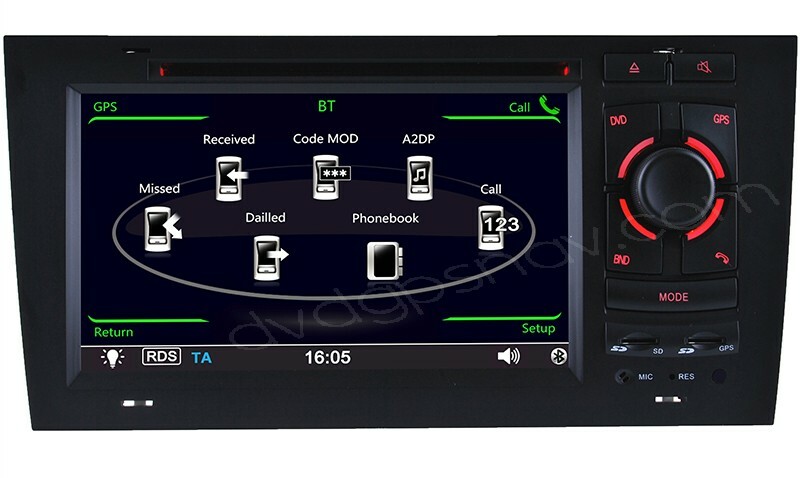 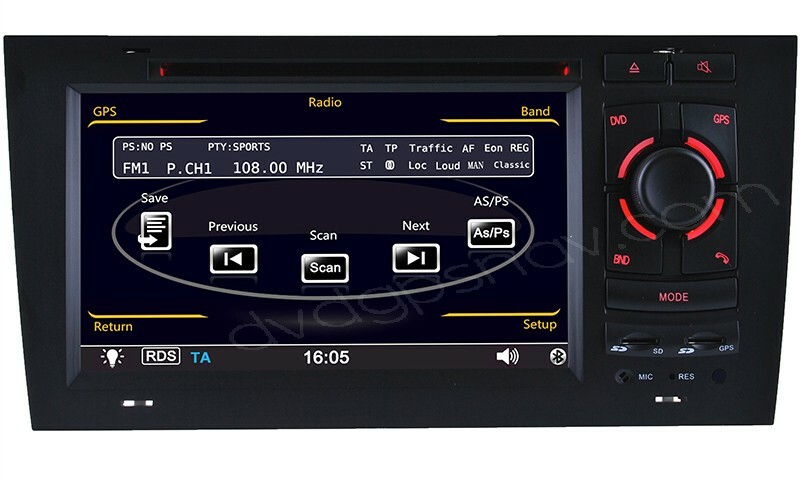 This double din car DVD player is for Audi A6, S6, RS6, with multiple functions including DVD, GPS Nav, Bluetooth, FM/AM, PIP, iPod, RDS, Can-Bus, USB and SD. 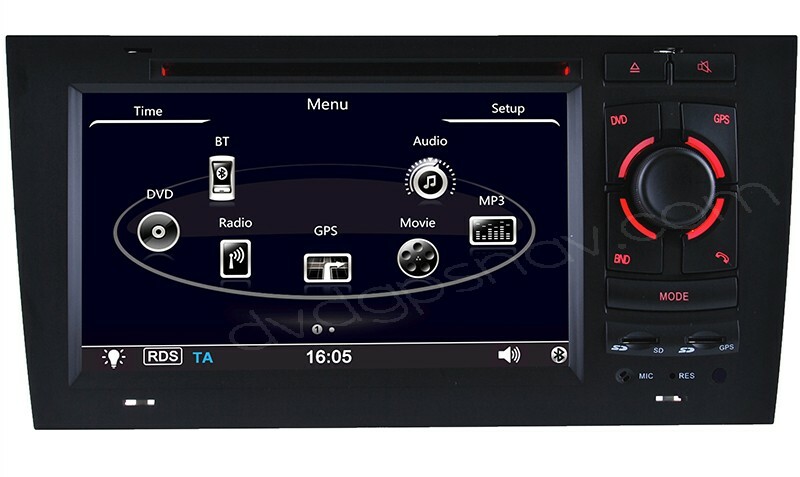 With the audi a6 navigation, you can go anywhere and never get lost, besides, the audi a6 dvd player can bring you much more fun with the multi-media entertainment system. 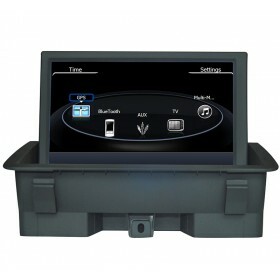 You can watch movies, DVD, listen to music through DVD, USB, or SD card. 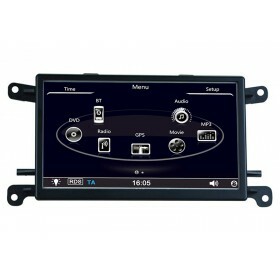 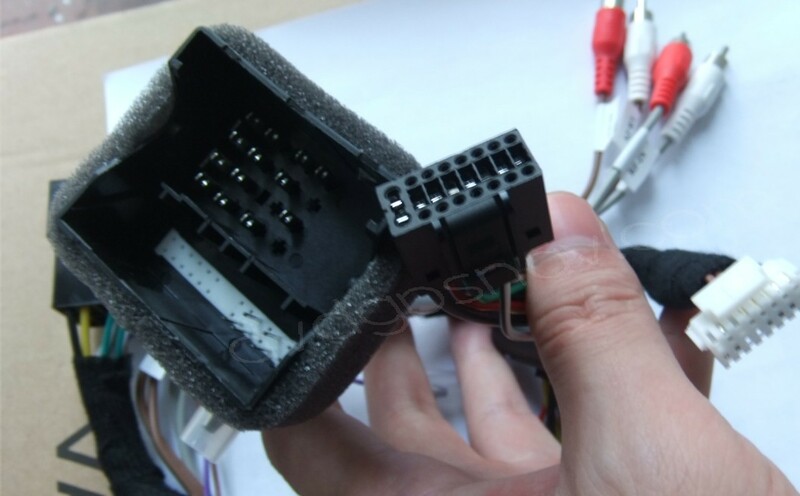 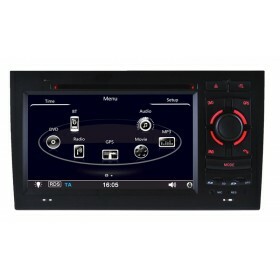 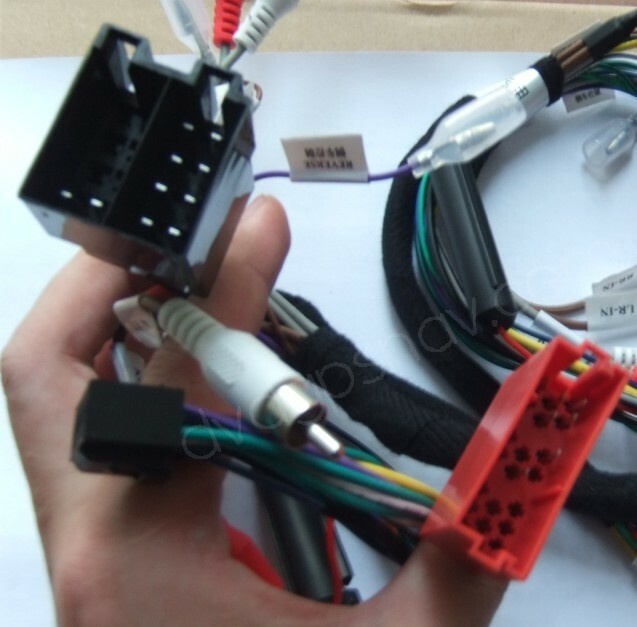 Buy the audi a6 gps nav head unit now get 8GB SD card with IGO GPS maps for free as a gift. 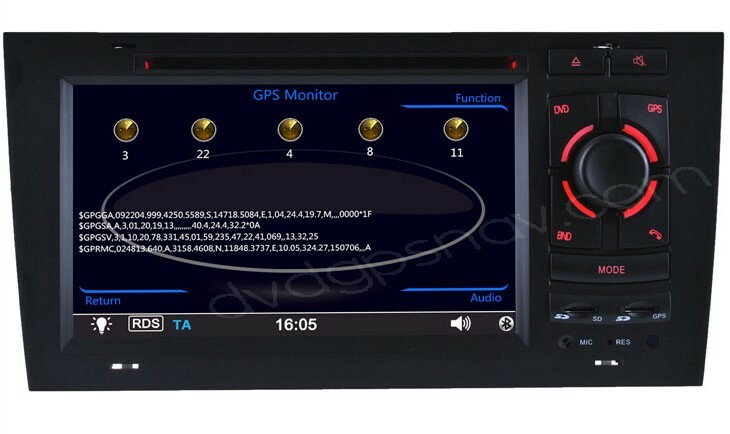 100USD OFF Now, ONLY US$396, Limited Time Offer! 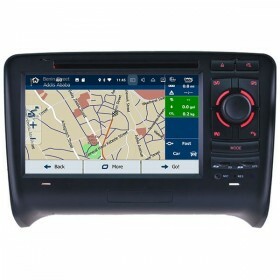 Plus a 8GB SD card with GPS maps for FREE! 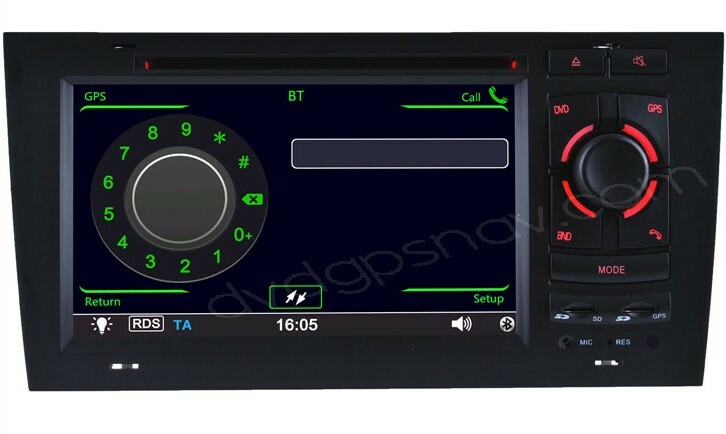 This double din car DVD player is for Audi A6, S6, RS6, with multiple functions including DVD, GPS Nav, Bluetooth, FM/AM, PIP, RDS, Can-Bus, USB and SD, directly from our manufacturer so the price is cheap but the quality is not cheap . 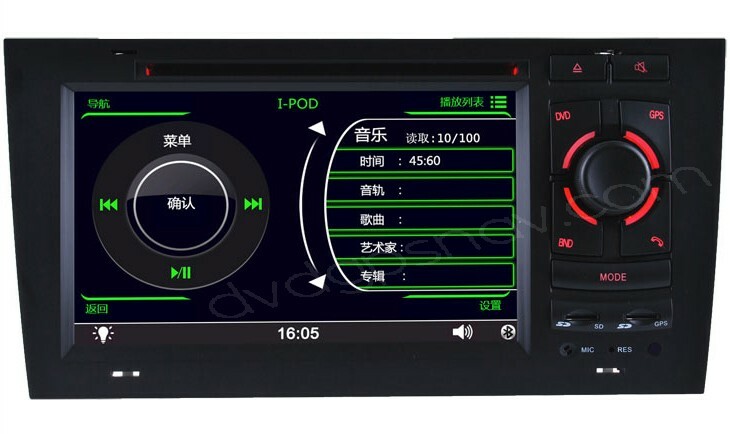 With the audi a6 navigation, you can go anywhere and never get lost, besides, the audi a6 dvd player can bring you much more fun with the multi-media entertainment system. You can watch movies, DVD, listen to music through DVD, USB, or SD card. 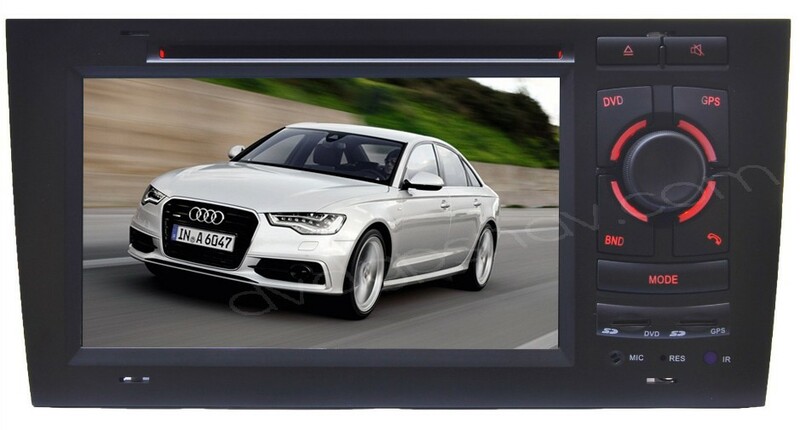 Buy the audi a6 gps nav head unit now get 8GB SD card with IGO GPS maps for free as a gift.